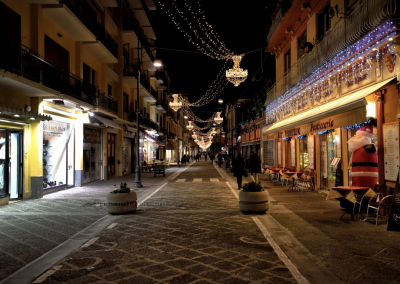 The Christmas / New year period in Sorrento is a major event: the main square, the old town and streets are beautifully decorated with twinkling lights, Christmas trees and seasonal decorations. In the past few years the number of visitors, who came to celebrate Christmas holidays in Sorrento, have deeply increased and you can breath and smell the festivity scent in every corner of the town. Looking for a festive way to spend your weekend? 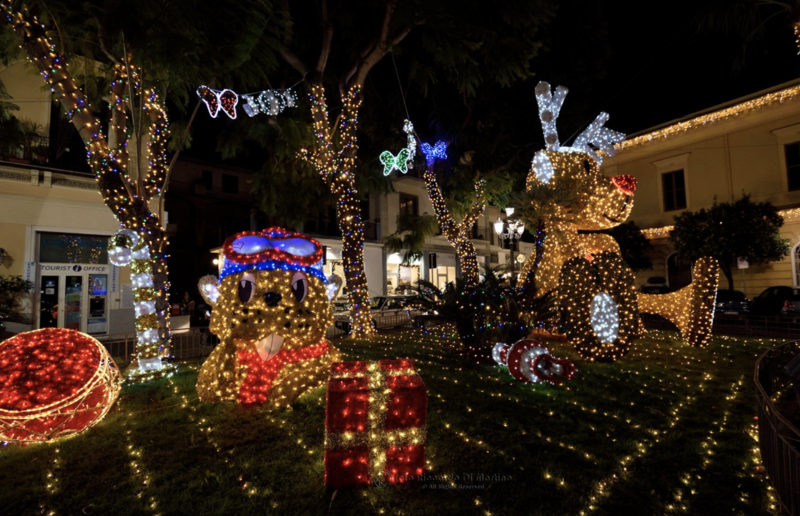 Read our guide to the best Christmas decorations in Sorrento. Piazza Tasso, the main square, is the point to start your tour around the town. Considered the heart of the city, Piazza Tasso is the meeting point for locals and visitors, surrounded by restaurants, pastel and ancient buildings, cafes and the Baroque Church of Santa Maria del Carmine. From the beginning of November until the middle of January the atmosphere is magic. The majestic and beautifully adorned Christmas tree, right in the centre of the square, is actually one of the main attraction: every hour, from 5 pm to 12am, it plays a different melody to mark the hour. 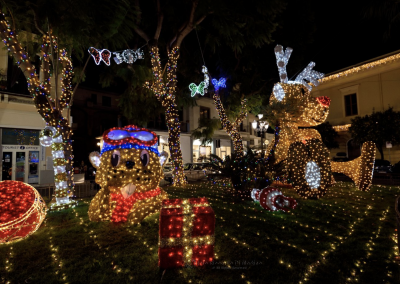 A game of lights and music together while people take pictures and videos standing in this elegant decorated square. 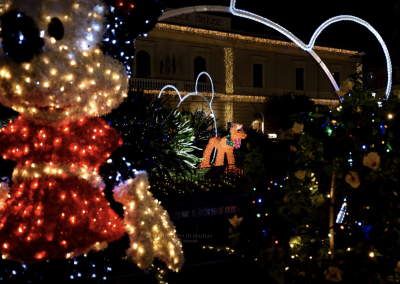 Piazza Sant’Antonino becomes one the main point of interest in Sorrento for children and families: the gardens of the Square are decorated with Walt Disney characters, a world of lights and colors that will enchant the little ones. 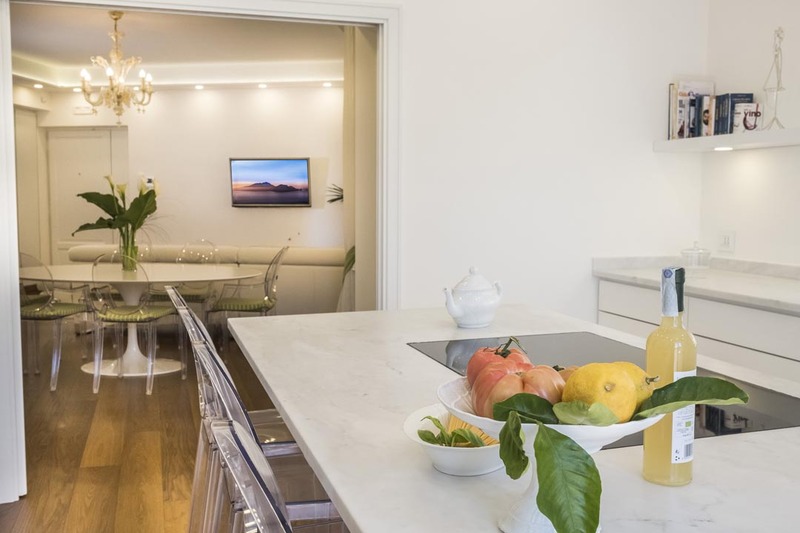 Sorrento old town is pedestrianized and the streets are lined with traditional botteghe and shops of limoncello, local groceries, old churches and ancient buildings. 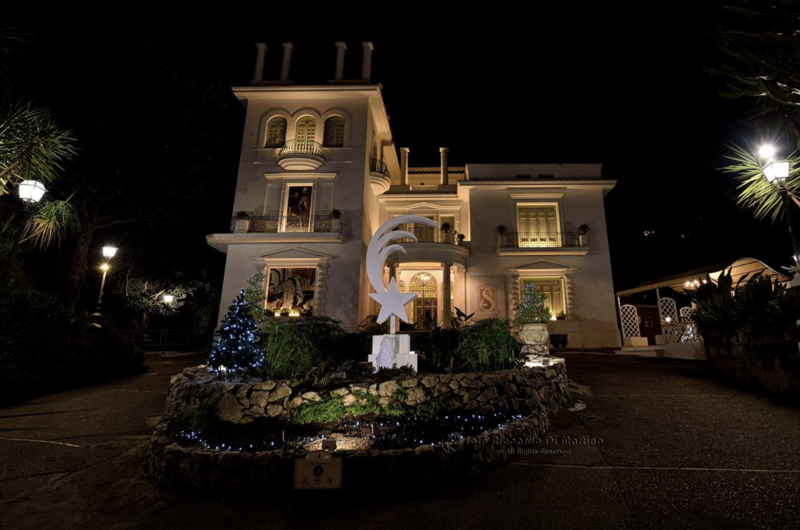 Here the festive atmosphere has its highest point and you will feel the sensation of being inside a Nativity Scene. 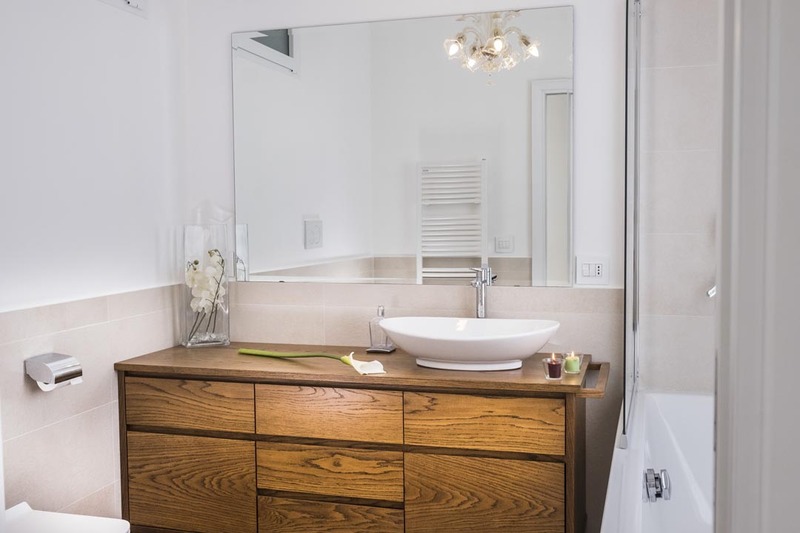 Right in the center of the old Town, at the junction of via San Cesareo and via Padre Reginaldo Giuliani, there’s the historical Sedile Dominova from the fourteenth century, that used to be a place for noblemen to discuss politics. 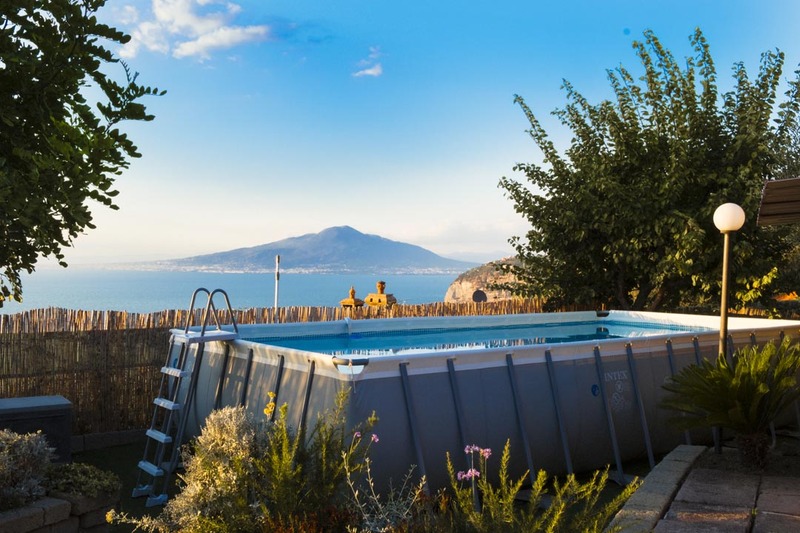 Nowdays, you can admire the stunning outdoor frescoes and at Christmas, local men members of a worker’s association headquartered in the building, build one of the most fascinating Nativity in Sorrento. Corso Italia is the main artery of Sorrento. 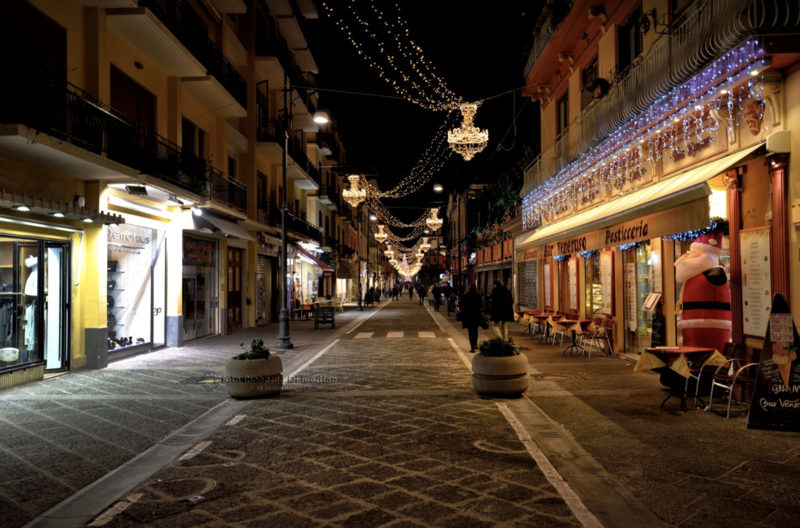 It is lined with some of the best of Sorrento’s shops and is mainly pedestrianized. 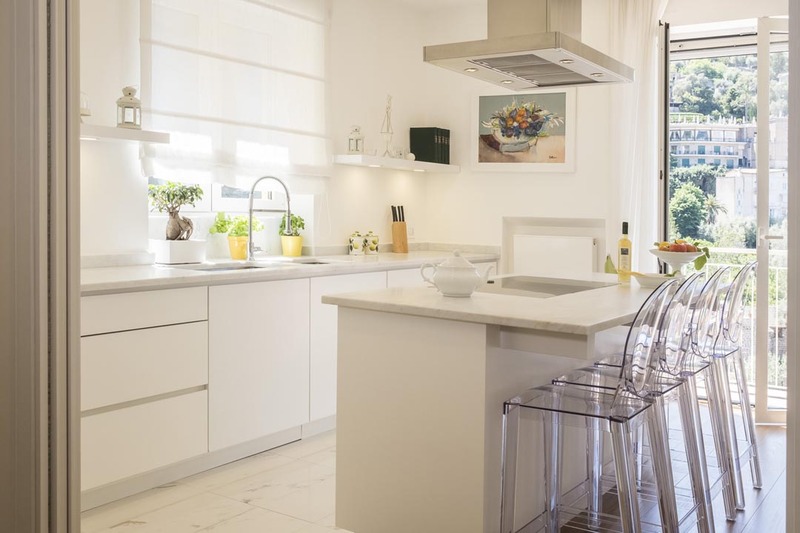 Considered the most comfortable and well located street to stay for visitors, it’s easy accessible and well connected to the train and bus station, buses and ferries. During the Christmas period is simply amazing: you will enjoy shopping or sipping an hot chocolate under a roof of elegant lights and seasonal decorations. 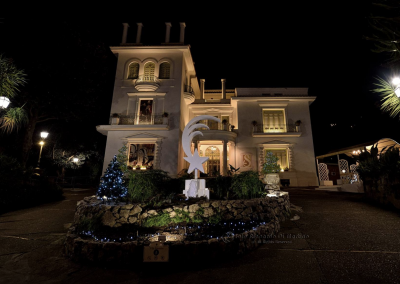 Just past the Cathedral on Corso Italia, you will find Villa Fiorentino, a lovely villa that hosts the Village of Santa Claus from Friday 7th of December until 6th of January. 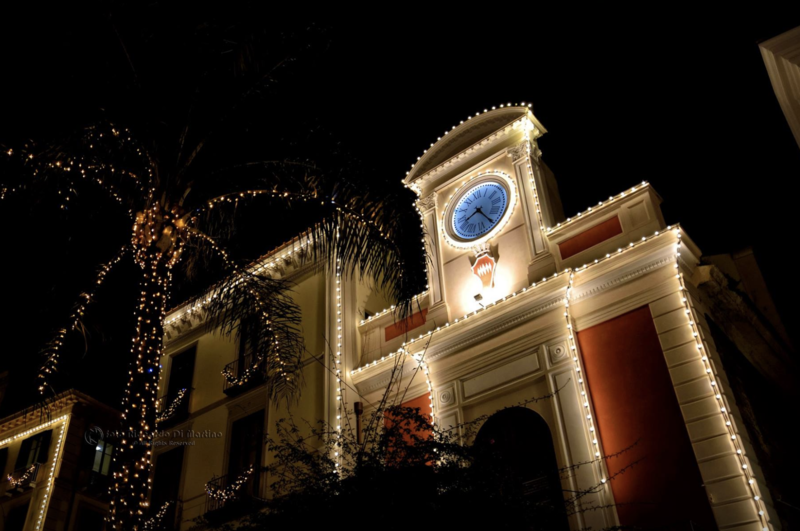 Piazza Angelina Lauro, is located in front of the train and bus station and is currently under maintenance works. The Snow Village, set up in the gardens of the Square, is one of the main attractions for children Despite the limited access, it will be the main entertainment of the square.